Some of the world’s most spectacular destinations are national parks. It is here that you will find the world at its rugged, most thriving green and pristine best in the midst of indigenous flora and fauna. The well preserved, maintained and protected ecological wonders are a testimony to a region’s natural resources. Think emerald jungles, azure blue oceans, unusual plant and animal species. The parks are tranquil natural havens where you can experience the best of a region’s ecology. Here are 12 of the most splendid national parks in the world that cover everything from the Costa Rica’s cloud forests to Torres del Paine’s icy blue glaciers. 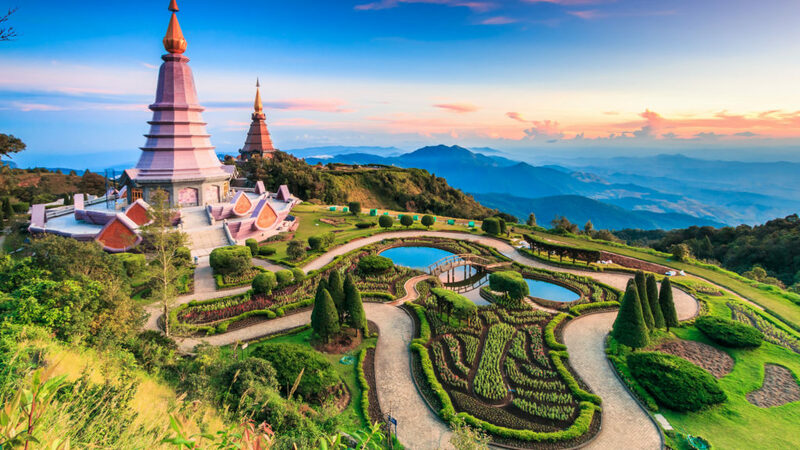 Doi Inthanon National Park is nestled on the outskirts of Thailand’s immigrant hotspot, Chiang Mai. It is also the country’s highest mountain, known for offering splendid views of the surrounding green cover. Park tours cover visits to ancient temples, in addition to hikes along waterfalls. Adventure bugs can participate in exciting canoeing and rafting activities. Click On the Next Button to See Next. Absolutely gorgeous..send me some brochures please..